WOW! Gorgeous capture! Love it! Is that Hoya IR Filter? Vert beautiful and unique capture! Beautiful! For a second I thought it was fiber cables or the like! Wonderful!!! I love the DoF and the monochromatic look. Very NICE!!!!!!! 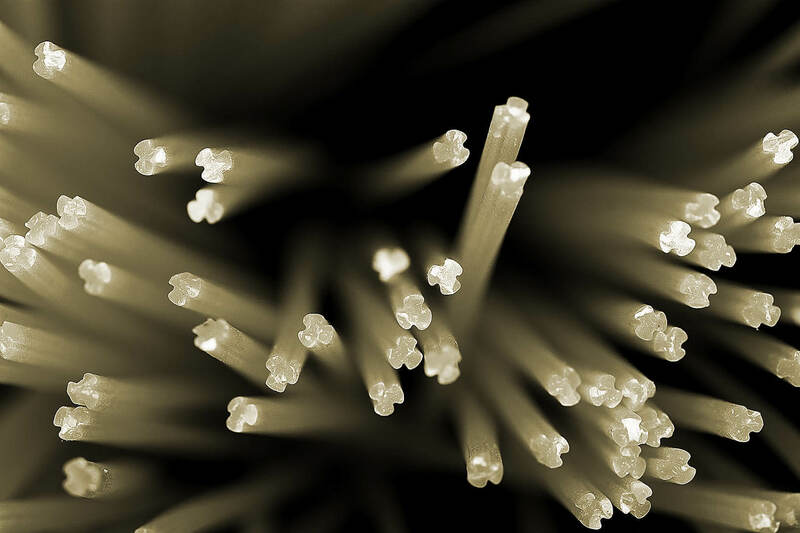 nice tight focus on the tips… looks like a bundle of fiber optics. and that dull earthy desaturated color of the pasta fading off into the blackness is appealing. nice use of light/contrast. Stunning – something I never would have expected from pasta. Great image..
Fibert pasta — cool. Looks even more abstrakt because of the strange colors. Very creative idea, very well executed. Fantastic photo, I’ve just started some macro photography. Hope I can take pics like this soon! Very cool shot. Black & White was a good call for this photo. Btw what kind of pasta is this?